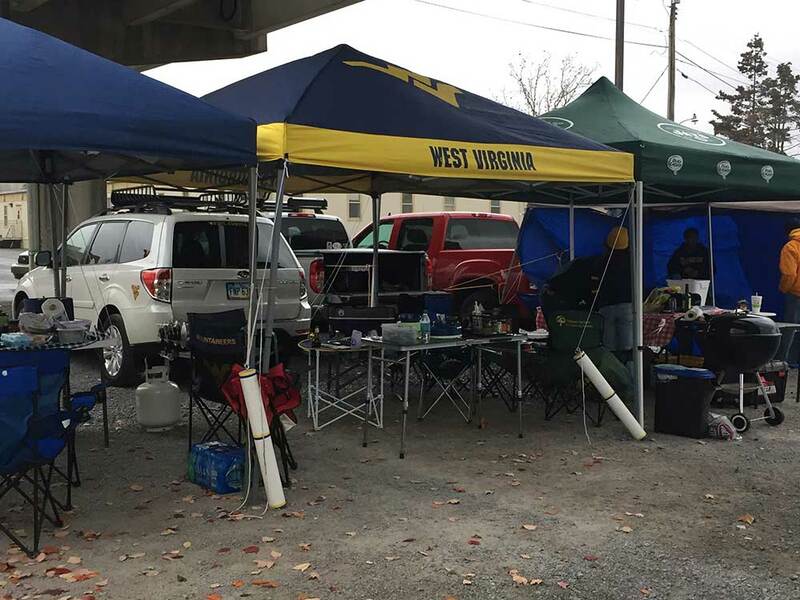 Long before the battle on the gridiron, tailgaters were engaged in a much different fight in the lots surrounding the stadium. But unfortunately, one ended in victory and the other did not. 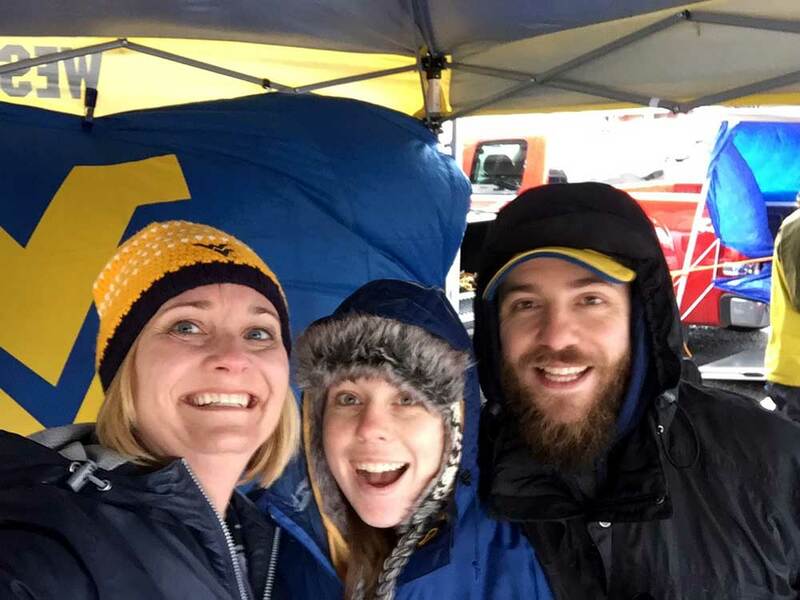 Fans saw the wild and raw side of West Virginia last Saturday, and it was only the heartiest of Mountaineer Nation who withstood the shingle-snatching winds and marble-sized rain drops to tailgate in the morning. The day started with an eye-of-the-hurricane calmness and temperatures in the mid 50s. In fact, as I walked from the Best Western to the gold lot, I thought (hoped) maybe those forecasters had gotten it wrong. But within 10 minutes of arriving, the temperature dropped, the sky cracked open and a hard, freezing rain came slamming into our tent at 40 mph. It took a few of us to help hold down our tents even though they were anchored to the ground with cement weights, our car and 13-gallon coolers. 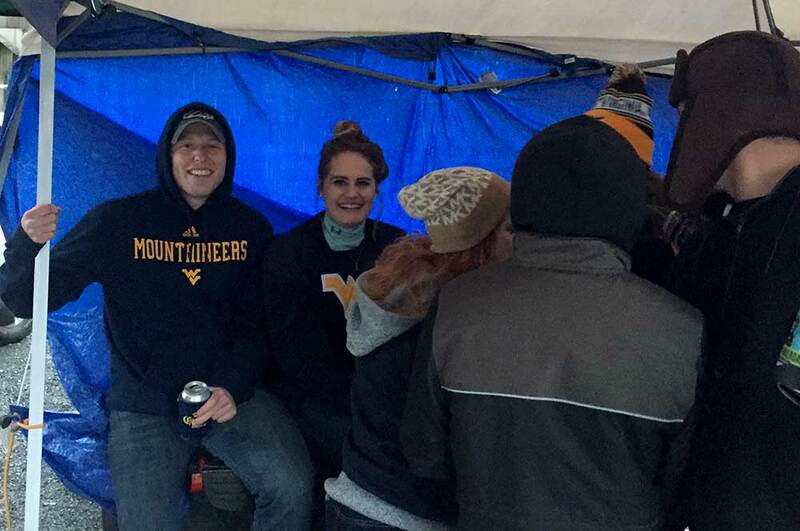 For a brief minute, we considered packing up and crying uncle on our tailgate. But we held out and after about an hour or two, the wind died down. In all my years of tailgating, I’ve never encountered such harsh weather. It was almost prehistoric in its brusqueness. 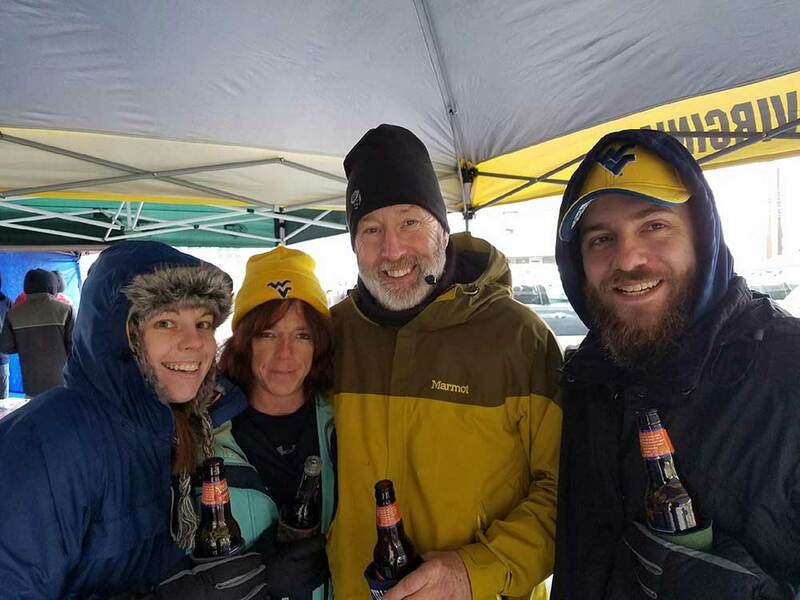 I’m really glad we didn’t have to call it quits on our tailgate because we had our friends from New Jersey there who we haven’t seen in a while. 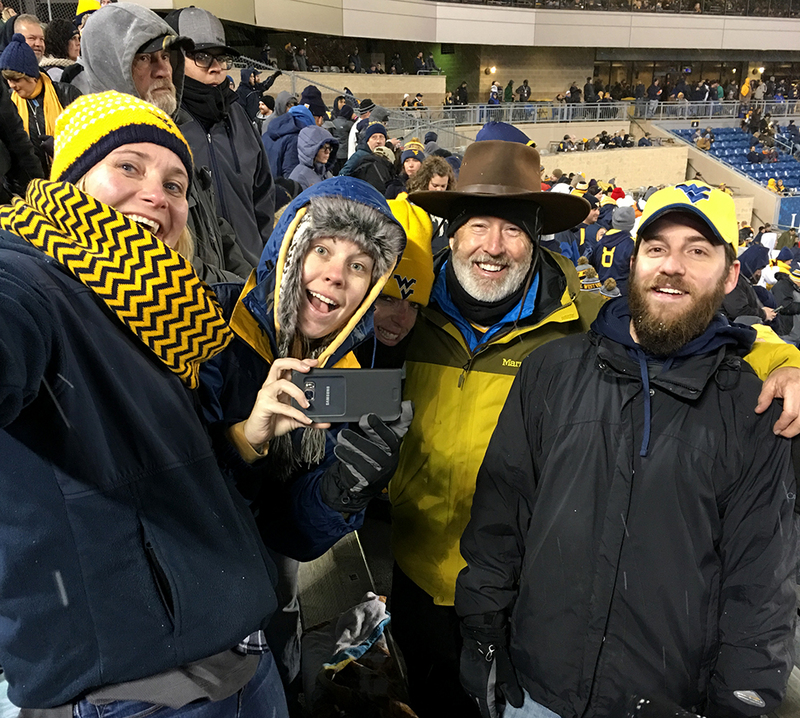 Bill Brash used to always drive to Morgantown for game weekends, but this was his first trip back since 2013. His daughter, Caitlyn, and her husband, Kevin, also came in from Virginia. 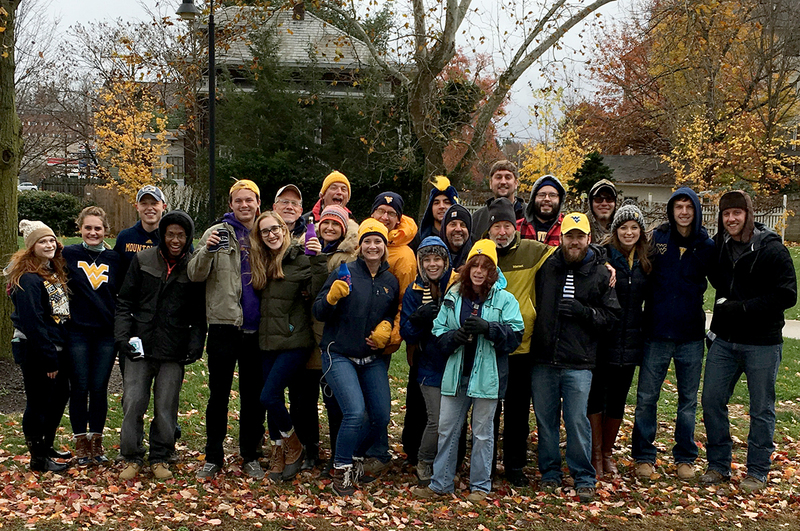 We really missed tailgating with these fine folks. Like Dave, Bill has a black belt in tailgating. He’s always prepared for anything and his menu is undeniably, mouth-watering good. We had so much food we could’ve fed a large village. Throughout the afternoon, the come-hither aroma of smoked chicken, pulled pork and steak permeated the air. 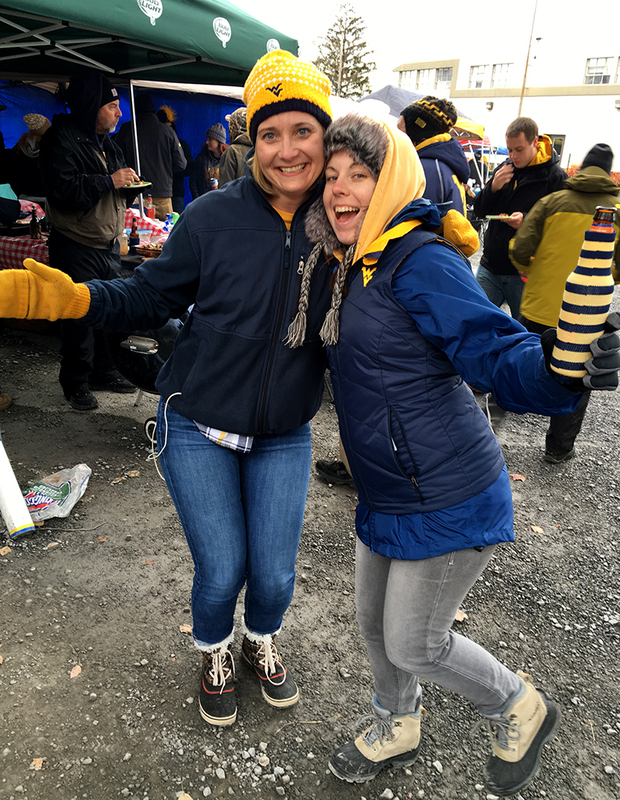 With an 8 o’clock game time in mid November, winter darkness settled over our tailgate in the late afternoon, making it difficult to cook and pack up our tailgate. Fortunately, “MacGyver” Bill had some battery-powered, camping lights to help us. 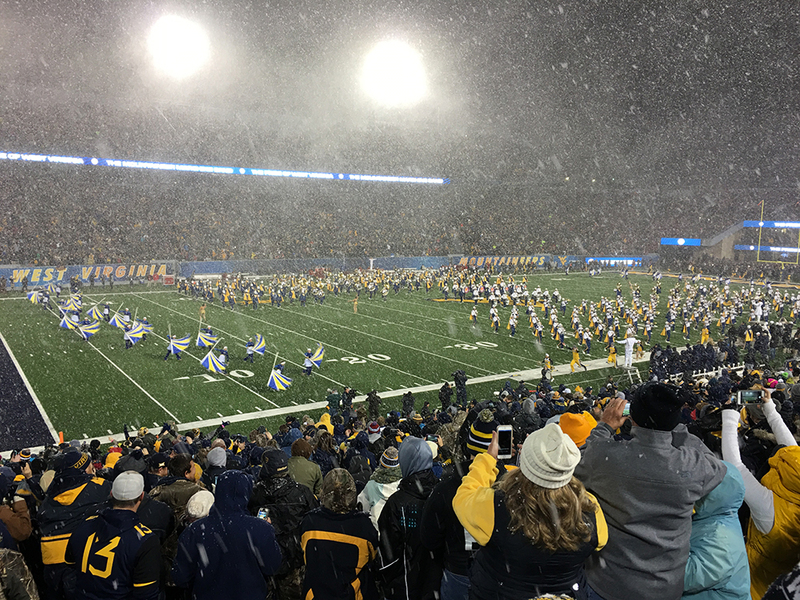 We headed to the stadium in time to see the Pride of West Virginia’s outstanding pre-game show. After weathering rain and heavy winds during the day, the nighttime brought a beautiful, hefty snowfall. The snow came down in such a furious, wind-driven swirl it looked like someone had shaken a snow globe. Sadly, our Mountaineers didn’t feel the enchantment of the night. With the first punt, West Virginia fumbled the ball and things snowballed out of control from there. While they put up a good fight in the second half, they had already given the Sooners too much advantage with turnovers and penalties. It was a tough loss but that’s how college football goes sometimes. Now it’s time to look forward to Ames, Iowa, where we take on the Cyclones. 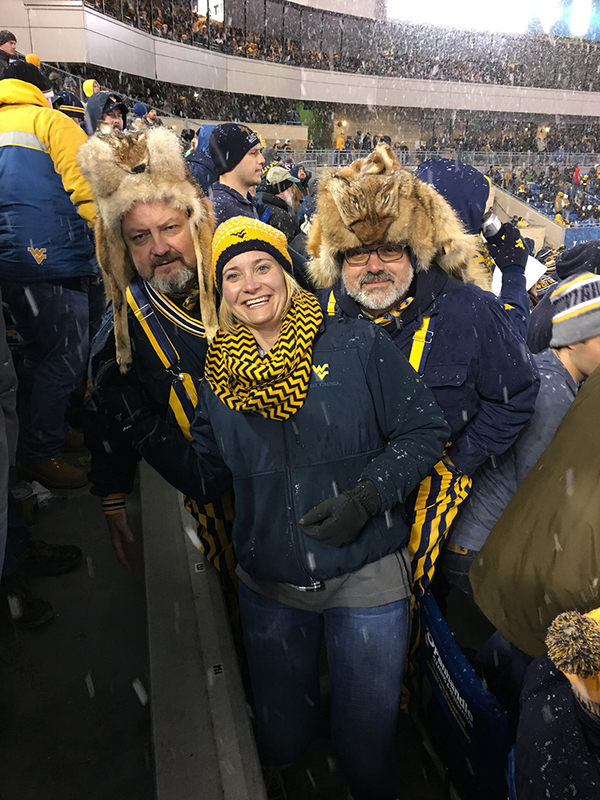 Let’s go Mountaineers! I still believe in you. Hey ya’ll! Just have to say we had SUCH a GREAT TIME with you at Mario’s FishBowl (the original!!!) Even amidst the good-natured “boo’s” on our way in! (Loved the welcoming smiles, back slaps, hugs and handshakes!) We felt right at home as you all made room for us at your table! and let us join in “Take me hommmmme…. country roooooaaaaddddd… to the plaaaaace…i belooonnnnggg! West Virginia….” And the wings were AWESOME!!! It was great meeting you & your family. You’re welcome anytime. 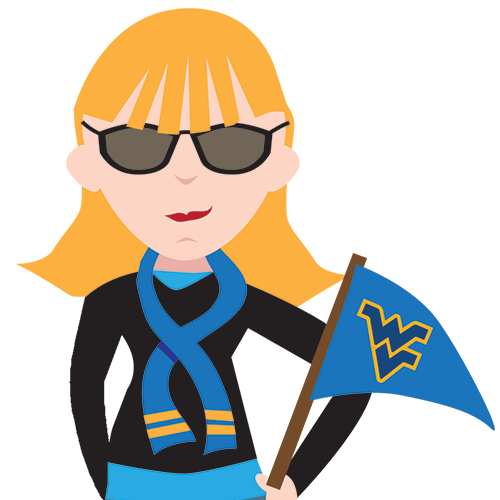 Let’s go Mountaineers!